Oil paintings of the lowcountry for sale by artist Rebecca Hinson. Original oil painting title "Sea Foam Sweet Tea" on canvas by Charleston artist Rebecca Hinson. .. 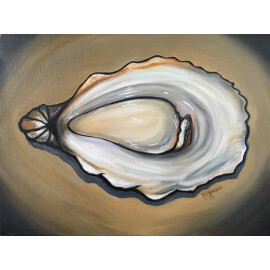 Original Oil Painting "Coastal Love Affair" by local Artist Rebecca Hinson in Charleston, SC. &nb..
One of the most coveted treasures of Charleston is the sweetgrass basket ladies. The weaving of bask.. 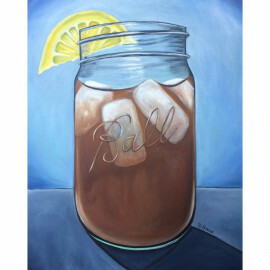 Original Oil Painting "Sweet Tea Blues" by local Artist Rebecca Hinson in Charleston, SC. .. 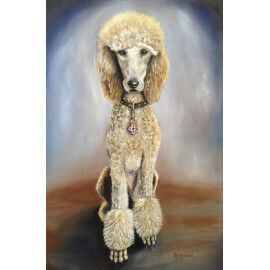 Original Oil Painting on stretched canvas. "Sullivan's Island" was inspired by vintage surf.. 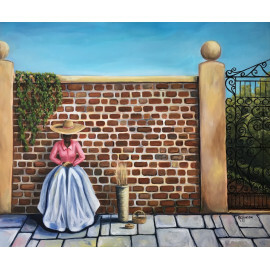 Original Oil Painting "Basket Lady II". .. Original Oil Painting on stretched canvas. 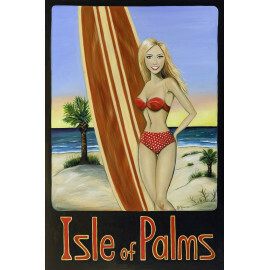 "Folly Beach Girl" was inspired by vintage surf .. Original Oil Painting on stretched canvas. "IOP Girl" was inspired by vintage surf postcard..
Undoubtably, Kiawah is one of the most beautiful islands the south has to offer. To a golfer, I woul..